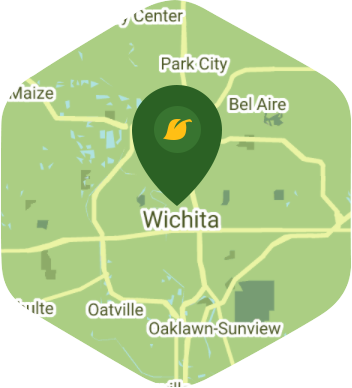 There is more to Wichita than just the usual farms and livestock that most people have come to associate with the state of Kansas. This city has plenty of charm to it as well as some of the best attractions in the state. You can indulge in a bit of culture at Exploration Place or watch some animals at the Sedgwick County Zoo. If you want to get surrounded by a bit of nature then there's always the Great Plains Nature Center or the Arkansas River Trail to keep you busy on the weekend. Living in Wichita, the last thing you want to do would be to take care of weeds in your garden on Saturday. Weeds are a real pain, but Lawn Love has no problem taking care of them for you. Who says you have to sacrifice a good weekend just to take care of weeds? Let our weed control service handle this problem for you. Our company is fully bonded and insured, and we have the very best independent lawn pros who are experts at handling weeds. What makes our weed control service different is that we use selective herbicide spot treatment to eliminate them. Get the best weed control service in Wichita by calling us at 316-218-9454. You can also feel free to ask us for a quick two minute quote. Here are some average prices for homes in Wichita. Average size of area treated 6,021 sq. ft.